Written on Jun 5, 2018 . Posted in Agriculture & rural solar energy solutions, Commercial solar solutions, Social Responsibility. 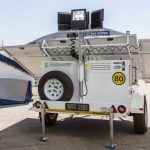 Specialized Solar Systems is sponsoring a Solar Sentry Trailer to help power the Greenpop Eden Festival of Action 2018 with renewable solar energy. 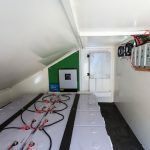 Keeping to the green theme, Specialized Solar Systems is very pleased to sponsor one of our rugged and very mobile solar power station solutions, the Solar Sentry Trailer. The mobile Solar Sentry Trailer will be used to help power the festival with clean and abundant sunshine energy. One of the many tailormade solar energy solutions that we specially engineer for our customers. 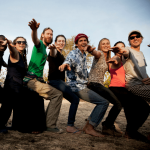 Greenpop is an award-winning social enterprise on a mission to (re)connect people with our planet – and have fun doing it! 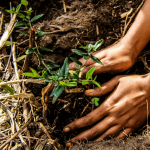 We plant trees through urban greening and reforestation projects, spread environmental awareness wherever we go, and run leadership and eco-education programmes in Southern Africa. 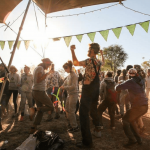 Every June/July, the Greenpop Festival of Action brings people together from around the globe to learn, connect, give back and get active. For the past 6 years, this event has taken place in Livingstone, Zambia and for the first time in 2018, the Festival of Action is being hosted in the Eden District, Garden Route, South Africa. 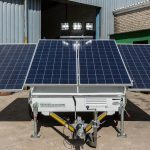 The Solar Sentry is designed and manufactured in South Africa by Specialized Solar Systems and the unit is a self-sufficient solar energy supply for 4 x 100 Watt 24 Volt, powerful DC floodlights. With its unique design, the Solar Sentry is easily deployed being towed behind fast-moving vehicles at up to 80 kilometers per hour and with 15-inch tires, most terrains are accessible with this nifty solar power station. Customers should please contact Specialized Solar Systems for a tailor-made solar power station solution for your electrical energy requirements.